Ajit Pai Quotes. 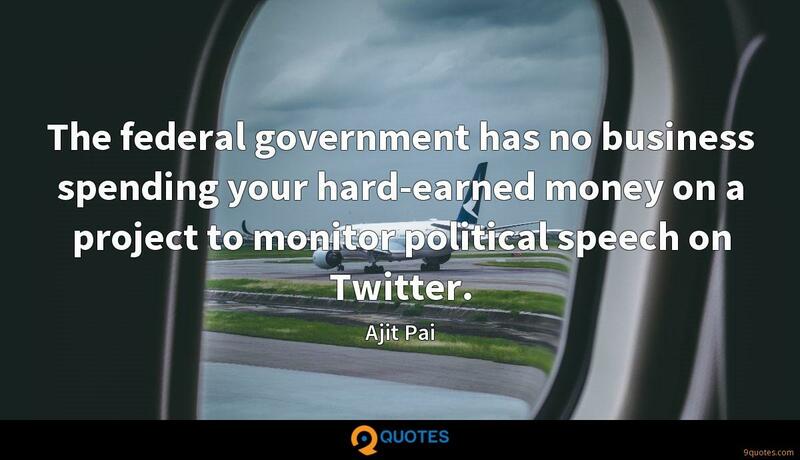 9quotes.com, 2018. http://www.9quotes.com/quote/ajit-pai-660411, accessed 23 April, 2019. When alchemists were talking about turning lead to gold, they were talking about turning a leaden consciousness, which most of us exist in during our lives, into a golden consciousness, which is a much better place to be. One of the best programs that the federal government sponsors is the Small Business Innovation Research program, in which more than 2.5 percent of federal research and development funding at the largest agencies goes directly to small businesses. Before 1915, space and time were thought of as a fixed arena in which events took place, but which was not affected by what happened in it. Space and time are now dynamic quantities... space and time not only affect but are also affected by everything that happens in the universe. 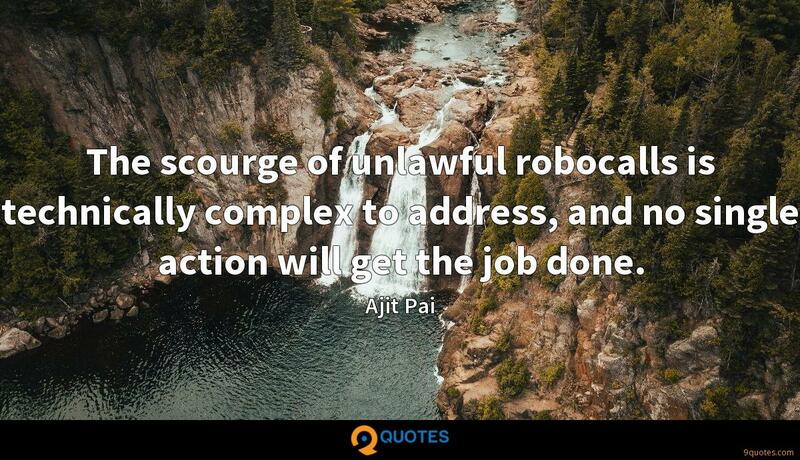 The scourge of unlawful robocalls is technically complex to address, and no single action will get the job done. To realize the promise of 5G, we will need smart networks, not dumb pipes. Dumb pipes won't deliver smart cities. Dumb pipes won't enable millions of connected, self-driving cars to navigate the roads safely at the same time. The bottom line is this: I want America to be at the forefront of innovation in the broadcast sector, the wireless sector, and every other sector of the communications industry.